You’ve probably heard it before: Vinyl records sound “better” or “warmer” than CDs and digital songs. Today’s consumers collect records for this very reason. Modern music is even being put on vinyl at an incredibly high rate. Given the popularity of vinyl, it isn’t uncommon to see entire collection movements around much-esteemed works. The world’s most famous rock starts are presented on vinyl, and music-loving vinyl purists swear by the warm tones presented by a classic record. A record’s overall quality diversion from alternative sound sources, warmth, is caused by the way the record, itself, is listened to. Not everyone has experienced analog recording technology. That said, analog-recorded records are still valued over most alternatives. Music recorded via analog instruments circumnavigates the many digital processes associated with modern music. From recording rooms to mics, analog-recorded songs, for some, are a purer reflection of sound. A song’s recording medium matters, and the many gear items used to collect sounds can create a different range of frequencies. When people talk about a record’s warmth, they’re referring to a few sound qualities which are carried through the material. Vinyl microgroove phonograph records have a dynamic range of 55 to 65 dB, though some high-fidelity outer rings can strike a dynamic range of about 70 dB. For the most part, vinyl escaped the music industry’s ‘loudness war.’ As CDs and digital music grew in popularity, it became possible to artificially make a track louder than it needed to be. Because of this, vinyl sounds became a thing of the past. Unfortunately, audio quality reportedly dropped. Bass, too, results in a record’s warmth. Often, listeners overlook the distortions introduced by LP reproductions. The warmth many associate with classic records is partially due to less-accurate bass noises. As per the above-mentioned loudness war, many studios tinkered on bass—making it more succinct. Reproducing bass on vinyl, for this reason, is a difficult engineering endeavor. A lot of signal processing and filtering needs to happen to reverse engineer a song onto vinyl. While a record’s bass may be less accurate, however, it isn’t necessarily of lower quality. Some musical enthusiasts even argue for the healthy balance vinyl seemed to portray. A few other factors result in warmer sounds. Records are exposed to dust, which can impact the needle’s path. Additionally, the record player’s age can impact a record’s bass sound. A record, today, may sound different than it did yesterday. If a player isn’t exactly the same, its sounds will change. A record’s warmth isn’t necessarily a bad thing. Again, musical enthusiasts frequently seek out such a quality. Despite many changes in the music industry, a focus on classic sounds is prevalent. Records might be old, but they aren’t going anywhere soon. 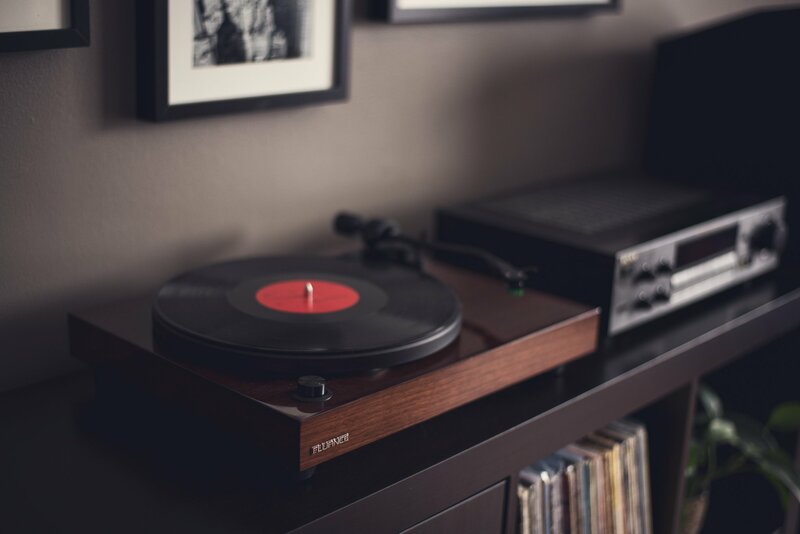 The listener’s perception and preferences matter, and the disappearance of older record players is a testament to vinyl’s popularity. Listeners appreciate warmth for what it is, and they’re willing to construct new instruments to exemplify it.